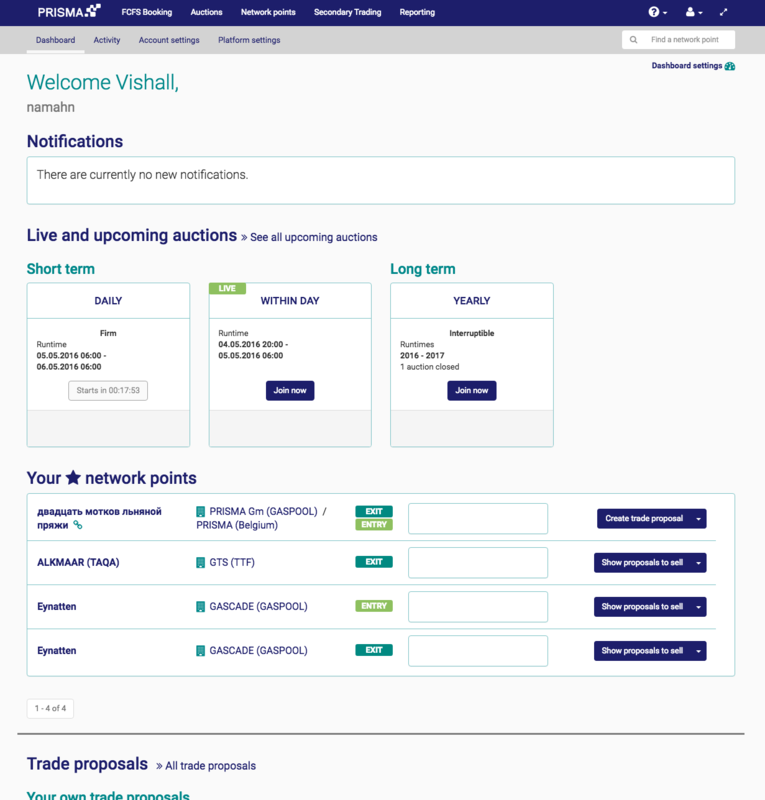 PRISMA is an online platform for auctioning and trading gas transport capacity within the European Union. Namahn helped PRISMA redesign and rebuild the front-end of its web application, increasing platform efficiency. 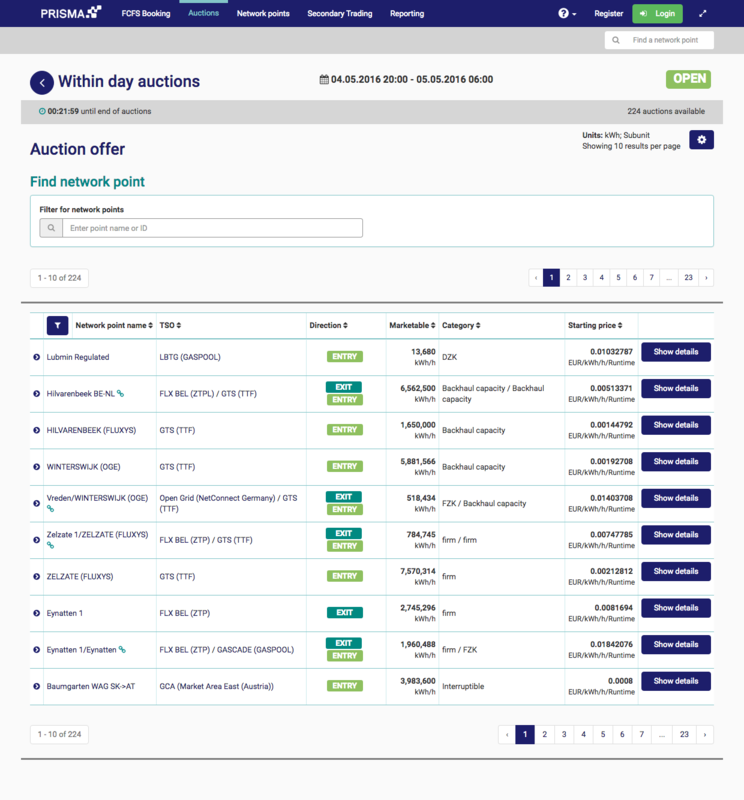 Gas shippers using PRISMA or its competitors to purchase transport capacity operate in a critical environment: placing bids in auctions with just a 30 minute opening window, they risk missing opportunities or even being fined, resulting in potentially large financial losses. PRISMA’s original design focused on delivering critical functionality. With user expectations increasing and competing platforms appearing, they asked Namahn to help improve their platform’s usability. 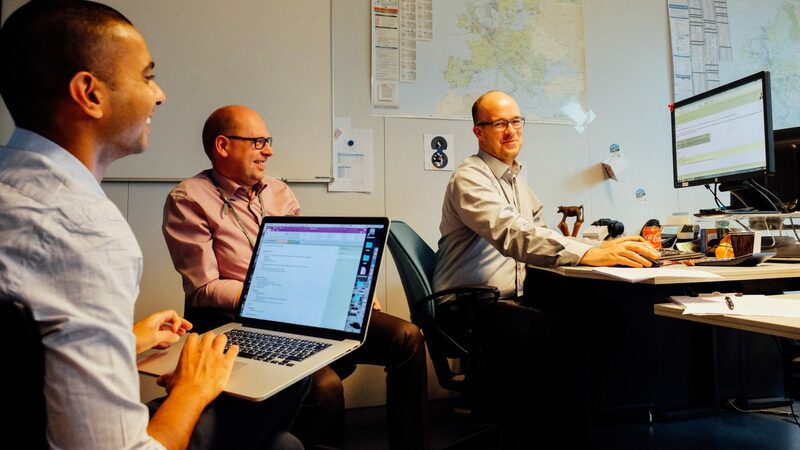 Namahn started by interviewing end-users across Europe, observing how they actually work. The findings led to a far-reaching change proposal, including to the front-end technology. Namahn successfully helped PRISMA negotiate these changes with their shareholders and IT service provider, and established a new task-oriented information architecture and high-level concept. Mock-ups were then created for three key tasks and tested with users, before the design for the entire platform was developed in detail. The resulting design is a radical makeover of the way users work with PRISMA. The new look and feel, combined with improvements such as a dashboard, interactive visualizations and a reporting wizard, has increased both productivity and user confidence. The new front-end design has been live since March 2016, with first reactions from end-users extremely positive.